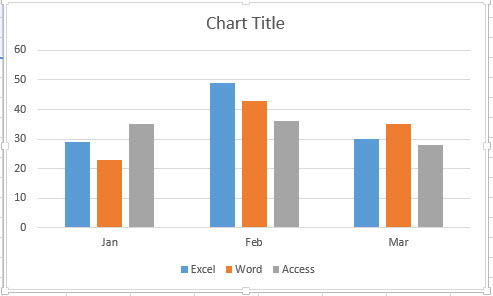 This post will guide you how to create one Column Chart in your worksheet based on the specified data in Excel. 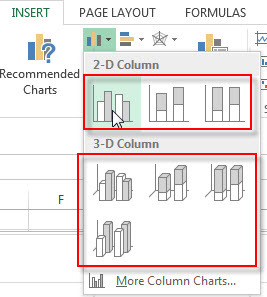 And the Column chart is a primary Excel Chart type and it is a graph that shows vertical bars with the axis values for the bars displayed on the graph in a worksheet. 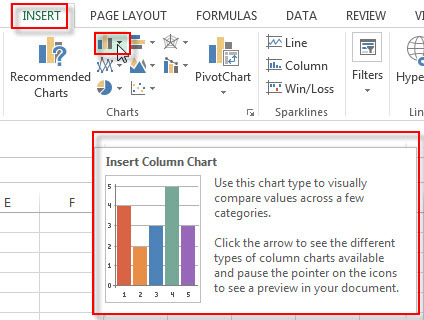 2# go to Insert Tab, Click Insert Column Chart button under Charts group.